Finally, new games arrive. I was starting to think that maybe people at the post office accidently crushed the package with their iron hands and just threw it away, pretending they never recieved anything to deliver to me in the first place. 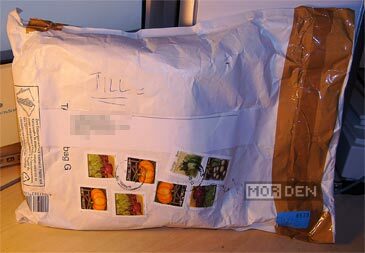 Fortunately the package arrived in one piece. So what's hiding in the envelope under a thick layer of bubble wrap cushioning? It's the new arrivals! The titles this time around are Roommania #203 [ルーマニア＃203], Virtua Fighter 3 TB [バーチャファイター3tb] and Ace Combat 3: Electrosphere [エースコンバット３ エレクトロスフィア]. 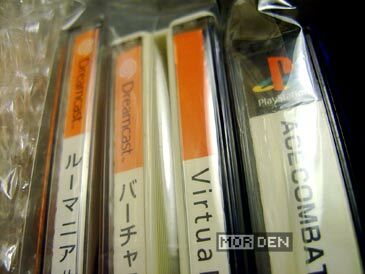 It's been a while since I bought anything for the DreamCast and it's been even longer since I got something for the PlayStation. I have alot to say about each and every one of these titles, so I'll save the game talk for later. I'll try to make a separate entry for each game, since they all deserve equal attention. There's always plenty to say about Japanese editions and they do differ from European and American releases greatly, so stay tuned. In the meantime let's talk movies. I mentioned obtaining Cloverfield and since then I got around to watching it. What did I think? That's one movie without a proper ending. It's not even a surprise "I didn't expect that" or "who knows what's next" kind of ending. It's the kind of ending you make when your budget runs out. I won't spoil anything for you and if you want to watch it, go ahead and knock yourself out. Let me tell you one thing though - if the movie wasn't as cheap as it was, I would probably be cursing up a storm. Besides Cloverfield I also got Blades of Glory and Death at a Funeral, first being another crazy Will Farell comedy and second ... well, I can't really tell you much about it since I haven't watched it yet. 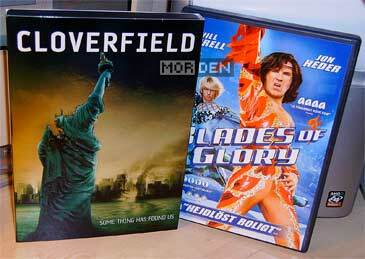 I did watch Blades of Glory and while it wasn't as funny as Dodgeball or even Zoolander, it made me laugh a few times and it helped me get over Cloverfield being an overhyped waste of time. If you think men in tight outfits and uncomfortable situations associated with this fact are funny, watch Blades of Glory. 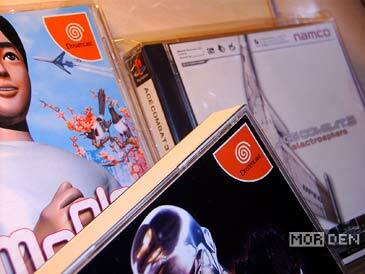 2008.12.05 Fri Dreamcast ☆ Saturn Comment Tweet This!